For as much as it is a nation that loves capitalism and the open markets, the United States of America look positively archaic when it comes to gaming and gambling. Yes, the state of Nevada is considered to be the gaming capital of the world but all around the rest of the country, many people have had to resort to illegal gambling. With this weekend being Superbowl weekend, probably the biggest sporting event in the whole of the USA, the love of sports betting that Americans have is well known. It is believed that close to around $120m is wagered in a legal manner in Nevada but as for the rest of the country, more than $1 billion is wagered on the game. Individual games in the NBA, NFL or NHL obviously pale in comparison to these sums of money but the money wagered on these games all add up. You only have to look at the NBA card with numerous games taking place every day, all providing an opportunity to wager. The only difference depends on where you are located as in some places you can legally place bets on the games and in other places you can’t. It is known that people are wagering and making money and before too long, authority figures will come to terms with the fact that this is money that could be working for them and their state. There will always be a moral argument against gambling, but gambling is going to take place, and with the official leagues providing backing, it is likely that there will be official rules and regulations being rolled out around the country before too long. 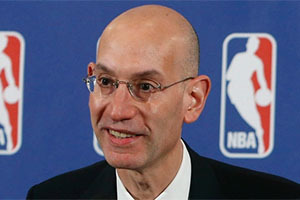 One of the biggest moments in the move towards legalised wagering came when Adam Silver, the NBA Commissioner, spoke out about the popularity of betting, and of the need for the governing bodies to accept this and regulate it. Congress should adopt a federal framework that allows states to authorize betting on professional sports, subject to strict regulatory requirements and technological safeguards. These requirements would include: mandatory monitoring and reporting of unusual betting-line movements; a licensing protocol to ensure betting operators are legitimate; minimum-age verification measures; geo-blocking technology to ensure betting is available only where it is legal; mechanisms to identify and exclude people with gambling problems; and education about responsible gaming. What is going to drive the move towards legalised and properly regulated gambling, like most things, is money. There is too much money to be made from sports betting and is it really that much of a step forward from fantasy sporting action? There is also the argument that wagering on a sporting game isn’t that much different from getting involved in the Stock Exchange or placing money on the Foreign Exchange market. While some people will worry about legalised gambling leading to potential match-fixing, this is where the proper regulation of games will play a key role in policing these activities. Playing the stock exchange is wide open for inside trading and illegal activities, and yet no one is seriously calling for a removal of that “investment opportunity”. 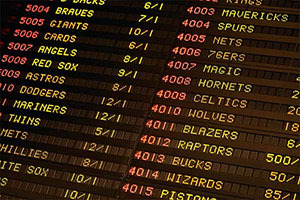 With the NBA being in favour of sports betting, the dawn of a new era of US sports betting is surely closer than many of us previously thought or believed.